She is soon to give birth to her highly anticipated twins. 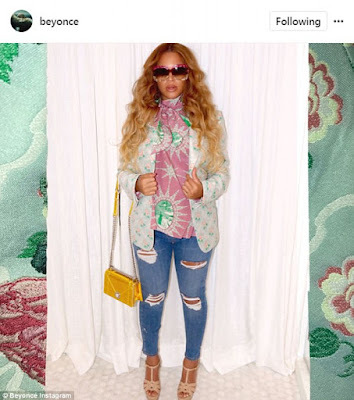 But that didn't stop Beyonce from getting all dressed up in a stunning ensemble as she posted gorgeous shots of herself on Instagram Sunday. 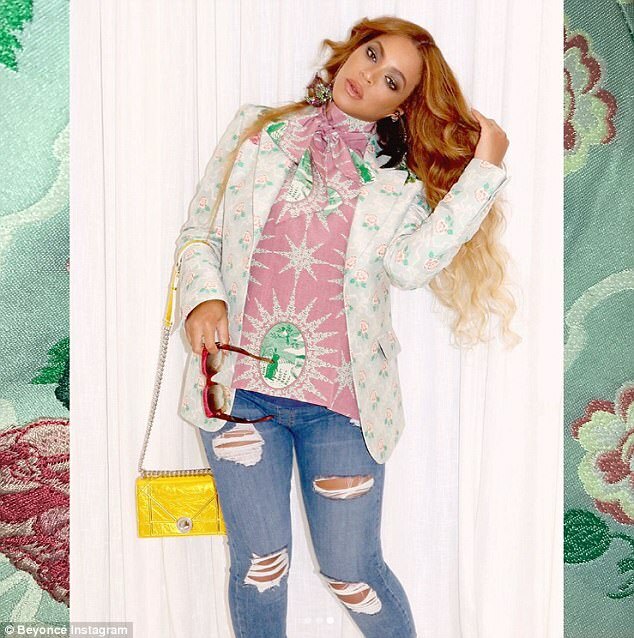 The 35-year-old superstar dazzled in a sparkly pink top and embroidered jacket as she donned luxurious accessories. The wife of rapper Jay Z cut a cool figure in ripped denim. She also balanced atop of stiletto platform Saint Laurent heels. The Lemonade singer accessorized with all the right equipment as she donned rhinestone encrusted bird earrings. Beyonce had a low profile approach in her vintage shades. She topped the look of by carrying a high end bright yellow purse.